Thanks again for all your guides and books - they are the go to reference ! This is really an honour for me! I still remember that when I started in the EMC lab in 2009 I started reading about EMC and was really impressed by everything you had been writing. And now having my own poster in your office is really amazing! I work in the EMC lab of XXXXX in Italy as an EMC engineer and technical manager. 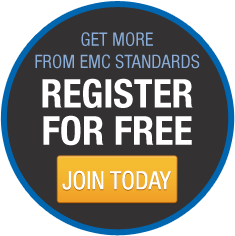 I began my way into EMC in 2008, and I do like it! Always very challenging! Could you tell me if your "Good EMC engineering practices for electrical cabinets systems and installations" (the new version!) can suit my need? Could it be a starting point? I proudly own the older version, and was a phenomenal great source of information. I just wanted to send a quick note to say sincere thanks for the course in Bruges last week. Your content and delivery are excellent and they inspire me to want to continue to progress my knowledge (I am working my way through the resources on EMC Standards!). I look forward to our paths crossing again in the future. I am very pleased to notice that you received an IEEE award, congratulations and well deserved! 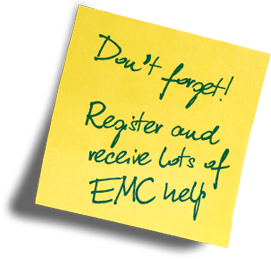 I attended a couple of EMC courses in Auckland some years back and like to let you know that your course has been the best and most useful course I ever attended! So keep up the good (excellent) work, wish you all the best!